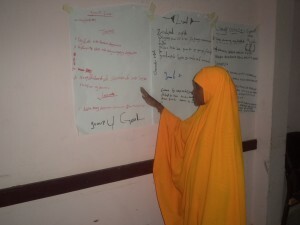 SFS Basic Education for Pastoralists communities in Puntland Project Conducts and supports school based refresher training on school hygiene and sanitation practices for 30 students from 2 ABE schools/centers in Nugal region. Garowe district, Nugal Region- Somali Family Services jointly with department of gender unit, MoE at regional level have organized and conducted one day refresher training on school hygiene and sanitation practices at Puntland Library and Resource Center (PLRC) for 30 Child to Child Clubs (CTC) members (Mohamoud AW Osman and Horseed Primary and Intermediate Schools located in Garowe, Puntland which are supported under BEP continuation project implemented by SFS in Nugal region. The specific objective of SFS Basic education for pastoralists project funded by UNICEF is to contribute to the fulfilment of the rights of all children (with equal opportunity to girls and disadvantaged groups) in Puntland to quality, inclusive and equitable basic education services. 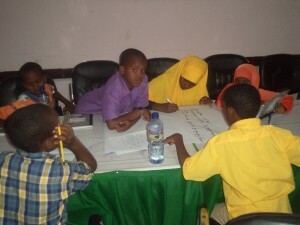 Other components of this project include; strengthening flexi timing and mobile classes for the pastoralists, refresher training for teachers and Community Education Committees (CECs), strengthening and supporting Child- Child clubs and provision of scholastic and educational materials in schools located in Garowe, Dangoroye and Burtinle districts. SFS implements all these activities under the auspices of the Ministry of Education and Higher Learning. 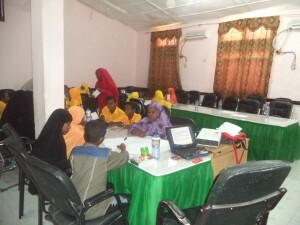 To develop the capacity of students to promote good sanitation and hygiene practice in schools. To improve good hygiene and sanitation practices in schools with the aim of improving the health of students, teachers and the community at large. 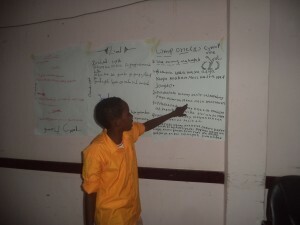 To outline strategies to integrate educational activities that lead to sustainable change in hygiene behaviour in schools, homes and the community. To ensure students are aware of health risks due to poor sanitation and are mobilized to take action. The training was conducted by one trainer drawn from the Gender Unit department at regional level of the Ministry of Education and Higher Education (MoE&HE). 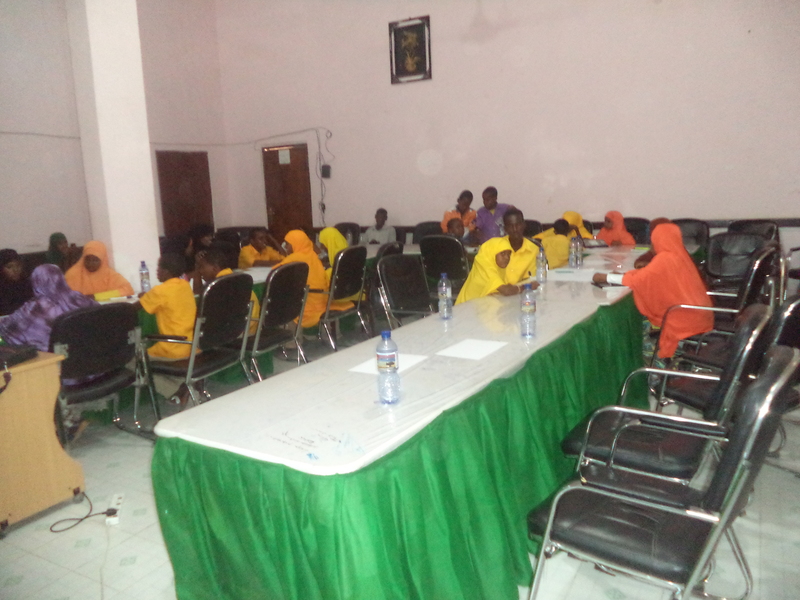 During the training, the trainer gave an introductory overview of school hygiene and the difference between hygiene and sanitation. They also highly emphasized the six steps of hand washing to reduce occurrence of diseases at school level. In conclusion, this school based hygiene and sanitation practices refresher training ended successfully and will improve ABE students by giving them an opportunity to increase their skills and knowledge on hygiene and sanitation practices at school level. As well as, the participants have shown commitment to train their respective schools students as noticed through their active participation.